Daniel S. Alter is a shareholder at Murphy & McGonigle, P.C. and a former general counsel for the New York State Department of Financial Services (DFS). With an estimated $4 billion or more raised in investment capital, 2017 was a boom year for initial coin offerings (ICOs). But it was accompanied by another kind of boom: the sound of a crashing regulatory framework. By one count, more than 50 companies per month were using token sales to raise funds – and mostly all of them proceeded without regard to U.S. securities laws. Then, in July 2017, the U.S. Securities and Exchange Commission issued The DAO Report, which, by employing the U.S. Supreme Court’s long-established Howey test, concluded that certain digital tokens sold to investors were “investment contracts” under the Securities Act of 1933 and therefore subject to SEC registration. Slightly more than four months later, the SEC reiterated and enforced that determination in the Munchee case, a proceeding in which the agency administratively halted an ICO as an impermissible sale of unregistered securities. 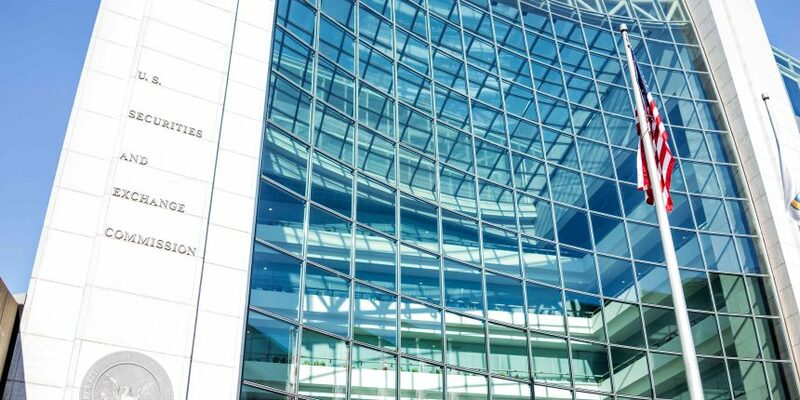 These developments were followed in early 2018 by a cascade of SEC subpoenas and enforcement actions targeting similar token offerings – many of which smacked of fraud. Putting aside the waning debate as to what may constitute a “utility” token that does not satisfy the Howey test (and thus is not an investment contract), it is now clear what the SEC thinks: the vast majority of ICOs conducted so far in the United States have violated federal law, and the ongoing trade in those tokens involves the illegal purchase and sale of unregistered securities. This taint on crypto assets has had serious and adverse consequences for market participants. For many security tokens, liquidity has dried up and prices have dropped. Moreover, the regulatory (and possibly criminal) vulnerability of ICO promoters, the resulting market instability for existing security tokens, and the flight of American capital overseas where token sales remain unrestricted, make the whole situation a royal, Humpty Dumpty-scale mess. It’s time to clean it up. (2) a mechanism for protecting, to the extent possible, the value of substantial yet legally flawed investments. Although a “broad” regulatory exemption for unregistered security tokens is not likely in the offing, the SEC has designed and implemented an amnesty program for a different class of securities law violators that could also serve as a blueprint for unscrambling problematic ICOs. This past February, the Commission’s Enforcement Division announced the “Share Class Selection Disclosure Initiative” (SCSD Initiative). The SCSD Initiative is an agency effort to resolve widespread and lingering violations of disclosure rules by investment advisors. Many advisors have been selling certain classes of mutual fund shares to clients without telling them that they receive an advisor fee in connection with those shares and that other less expensive shares, that do not involve advisor fees, are available to purchase. This scenario plainly involves a material conflict of interest for investment advisors with fiduciary obligations. Under the SCSD Initiative, investment advisors who self-report their violations are eligible to settle with the SEC according to standardized terms: (1) the issuance of a cease-and-desist order and censure on consent, in which an advisor neither admits nor denies the SEC’s findings; (2) the disgorgement of an advisor’s ill-gotten gains and the payment of interest on those revenues; and (3) the acceptance by an advisor of specified undertakings intended to correct the sale procedures that resulted in the disclosure violations. Finally, in return for those commitments, the SEC Enforcement Division will recommend that the Commission impose no penalties on the self-reporting advisor. The problem of unregistered security tokens warrants a similar approach. As some have already suggested, we basically need a regulatory do-over for the first wave of ICOs. An amnesty program like the SCSD Initiative could be one way of accomplishing that goal. If engineered correctly, it would assimilate rogue security tokens into the fold of regulated instruments without rewarding prior violations of securities law. It could also provide issuers of unregistered security tokens with an ordered and more affordable way of resolving potentially ruinous civil liability under section 12 of the Securities Act of 1933 (establishing a cause of action for rescission or damages in connection with the sale of unregistered securities). An ICO amnesty plan would need at least two core elements to meet those objectives. To start, issuers of unregistered security tokens (let’s call them “old tokens”) would have to complete a formal SEC registration process for what are essentially replacement tokens (“new tokens”). Upon the approval of such a registration, issuers would have to swap old tokens for new tokens for all willing takers – a digital tender offer of sorts. As an incentive to exchange old tokens for new ones, issuers would probably need to offer some additional consideration – possibly paid in new tokens rather than cash in order to preserve the company’s operating capital. Holdout investors that chose not to redeem their old tokens would, of course, retain their Section 12 Claims. But presumably the issuer would know the approximate number of holdouts in advance of self-reporting, and – in terms of liability – that number would have to be economically manageable for the company. Otherwise, there would be no point for the issuer to seek amnesty in the first place. Indeed, an ICO amnesty process that included these elements could help to separate the good eggs from the bad. In evaluating the swap provision, investors would have to determine whether there is greater value in reaffirming their stake in the company or pursuing their rescission rights. That sober second look should promote efficient investor decisions that reflect the health and prospects of the underlying business enterprise. Moreover, issuers of blatantly fraudulent ICOs have little chance of successfully registering their new tokens with the SEC, and therefore have little motivation to even try. That act of self-selection should significantly assist the SEC in identifying some of the most appropriate subjects for enforcement activity. This proposed strategy to address widespread securities violations in the crypto-asset market is not intended as a comprehensive regulatory plan. To the contrary, it is presented merely as a conversation starter. Other legal considerations and possibly technological constraints will further shape the parameters of any final program, for sure. It is urgent, however, that serious talks get underway. While regulators, entrepreneurs, and investors all walk on eggshells, innovation slows. Sometimes you just have to break a few eggs to move forward.